Your dog will be quite the fashion statement with this autumn colored dog leash. Machine Washable .. 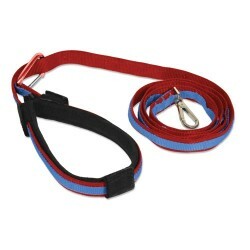 Your dog will strut in style with this custom made in the USA leash. 100% Cotton and Machine Was.. Spruce up that pup in this giraffe with red lining dog lead. Custom made in the USA with 100% cott..
Adorable Ice Cream Leash for your dog! Choose paws, bones or hearts for the leash and chec..
Adorable Patriotic Ice Cream Leash for your dog! Choose paws, bones or hearts for the leas..
Adorable Ice Cream Leash for your dog! Choose paws, bones or hearts for the leash and check out our ..
Add spice to your pooch's look with this leopard print leash. This dog leash is custom made of 100%.. This chocolate with multi-color dots dog leash is made of cotton with the pattern showing on both si.. Your little girl will strut in style in this adorable pink leopard dog leash. Made in the USA and .. The Quantum Leash for Dogs is everything you are looking for in a dog walking restraint! Designed fo..